Lumbar disc replacement has emerged as an increasingly popular treatment option for people with some types of lower back pain. First approved by the U.S. Food and Drug Administration in 2004, spinal disc replacement surgery is supported by years of real-world application, primarily in Europe where the procedure has been performed for more than 30 years. Degenerative disc disease is a type of back pain caused by the wearing away of the cushion that rests between the bones of the spine. As a structure, the spinal column is made of stacked bones called vertebrae. These bones are separated by a cushion called a spinal disc. The disc is composed of tough but pliable collagen fibers which help maintain the position and integrity of the spine while allowing motion between the vertebrae. This complex structure provides us the stability needed to stand upright as well as the flexibility to bend and twist in multiple directions. Unfortunately, the discs can cause problems as they begin to age, becoming increasingly brittle and gradually wearing away over time. On its own, this type of deterioration is not abnormal; most people will experience it to some degrees as they get older. In some cases, it can cause pain and, in others, not. As such, if faced with an intolerable back pain of any sort, it is important to have it evaluated by an orthopedic specialist to pinpoint the exact cause. This may help you avoid unnecessary surgery and embark on a less evasive and more appropriate course of treatment. Spinal fusion has long been considered the standard surgical treatment for degenerative disc disease if and only if all other non-surgical options have been exhausted. Prior to this, treatment should be limited to non-invasive or minimally invasive options such as anti-inflammatory medications, physical therapy, and epidural steroid injections. When indicated, spinal fusion surgery involves the removal of the damaged disc to stimulate bone growth within the remaining space. With this happens, the space once occupied by the disc will gradually fill with bone and effectively fuse the vertebrae together. By preventing movement of this segment, the pain relief can often be excellent. The rate of successful spinal fusion is around 80 percent. While complete fusion is not always necessary for pain relief, any failure to achieve adequate bone remineralization can undermine the benefits of the surgery. Fusing the spine may lead to back stiffness and a loss in the range of motion. By fusing the spine, the segments above and below the fusion are subject to increased stress. As such, persons who have undergone fusion are more likely to develop problems with the adjacent discs in the future. Lumbar disc replacement is similar to other types of joint replacement, such as those involving the knee or hip. It involves the removal of a damaged disk which is then replaced with a metal or plastic implant. The advantage of disc replacement surgery is that the spinal prosthetic would allow (and sometimes even restore) motion to the damaged segment without transferring stress elsewhere. It better maintains the integrity of the spine while achieving the same level of pain relief as a spinal fusion. Moreover, disc replacement surgery tends to require shorter hospital stays which, according to an analysis from Cedars-Sinai Spine Center in Los Angeles, can reduce hospitalizations cost by as much as 54 percent. A 2014 study published in the journal International Orthopaedics concluded that, while highly beneficial, there is no evidence that lumbar disc replacement is superior to spinal fusion. While newer prosthetic discs offer greater durability, they can still wear out and may require additional surgeries down the road. With that being said, when comparing the benefits of a disk replacement surgery (including pain relief, motion preserved, and the low reoperation rates) to spinal fusion, many orthopedic surgeons today endorse the use of a disc replacement as the first-line surgical approach while reserving spinal fusion for later surgeries. Buttacavoli, F.; Delamarter, R.; and Kanim, L. "Cost comparison of patients with 3-level artificial total lumbar disc replacements versus 360° fusion at 3 contiguous lumbar vertebral levels: an analysis of compassionate use at 1 site of the US investigational device exemption clinical trial." SAS J. 2010; 4(4):107-14. DOI: 10.1016/j.esas.2010.07.002. Wei, J.; Song, Y.; and Chaoliang, L. "Comparison of artificial total disc replacement versus fusion for lumbar degenerative disc disease: a meta-analysis of randomized controlled trials." Int Orthop. 2013; 37(7):1315-25. DOI: 10.1007/s00264-013-1883-8. Is Cervical Disc Replacement For You? 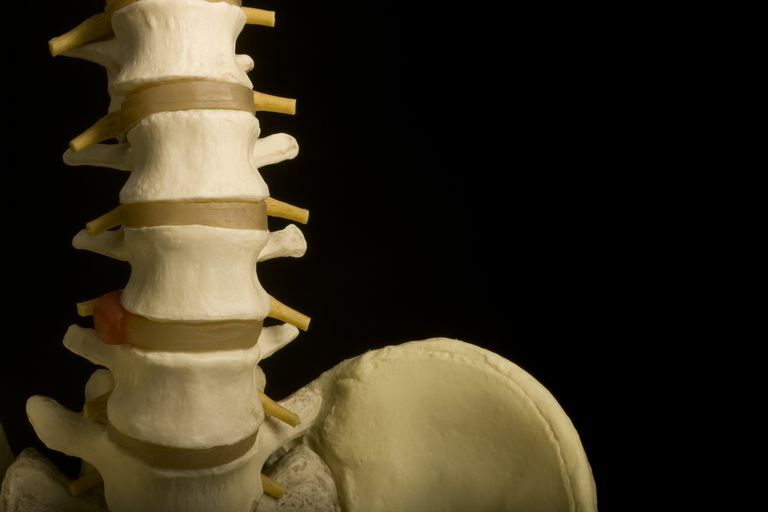 Can a Spine Fusion Surgery Relieve Your Back Pain? Is Dynamic Stabilization an Alternative to Lumber Fusion Surgery? Is a disc bulge a problem you should worry about? Smoking can harm your back. Get the facts.